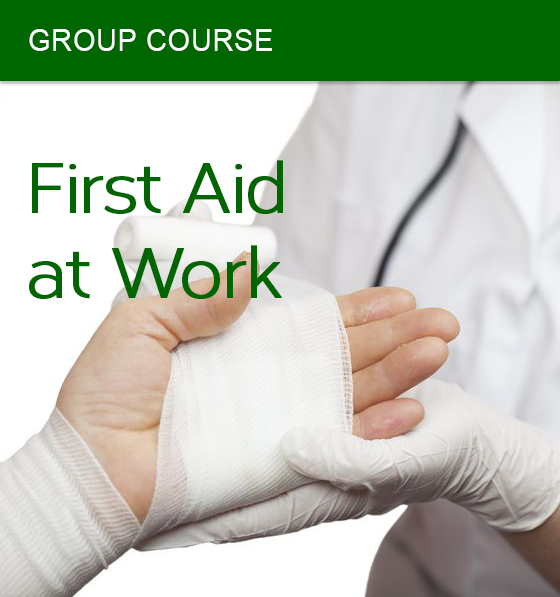 We run First Aid at Work Courses for groups of up to 16. Choose the maximum amount of places required on the course and the course date below (these details are always changeable, in line with our terms and conditions). Places not used over the minimum of 12 will not be charged for i.e. if you book 16 and 12 attend only you will be refunded 4 places however if 8 attend the minimum of 12 will be charged. 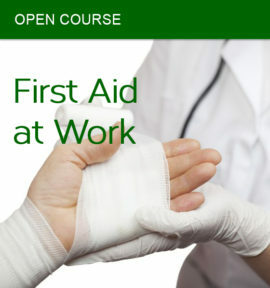 Looking for First Aid at Work courses for individuals? Click the button below. 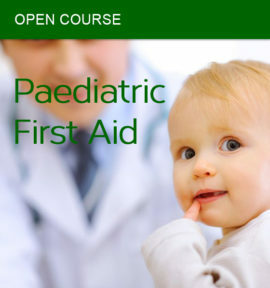 This in-depth course deals with more serious and multiple injuries, going into greater detail of first aid with more time for discussion and practice. Aimed at the individuals who may have overall charge of First Aid or for individuals within large companies or companies with potentially hazardous working environments. 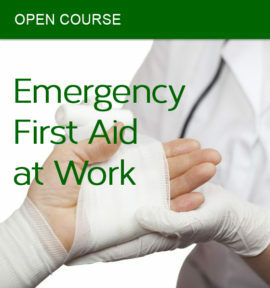 Delivered over 3 days, the First Aid at Work certificate is achieved by successfully completing an examination and individual practical assessment. Each candidate receives a full colour book, Individual First Aid Kit and a Practice Kit. If booking an ‘In-House’ Course, it can be held on consecutive days, weeks or split to suite your business needs. Latest legislation states although it is ‘Highly Recommend’ that candidates renew their qualification annually, it is not a legal requirement – however the law does state that it is an employers responsibility to ensure that First Aiders remain ‘Competent’ within their role as a First Aider. The question is: ‘if no retraining is done within the 3 years, how can someone be ‘competent” and therefore the employer is liable. A cost effect way is to re-train on an intensive ½ day course – why not have another course delivered in the afternoon session i.e. DeFib training and save money? Again achievement is by successfully competing an examination and individual practical assessment, resulting in a new certificate valid for another year.